More than any other legal issue, divorce affects couples from all segments of society and all walks of life. For a divorce to effectively allow both individuals to get a fresh start, the settlement must take into account the unique circumstances of their marriage and what each party hopes to accomplish. A hurried divorce may be appealing in the short term, but failure to fully take into account the hopes and concerns of both individuals can lead to long-term adverse legal consequences. At the Law Offices of Patricia A. Kalal, we provide the personal attention your case demands, from your initial consultation all the way to the settlement or verdict. 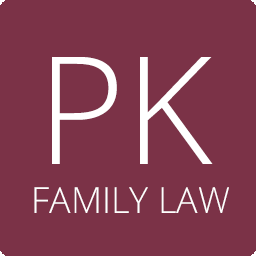 With 23 years of experience practicing family law in Northern Illinois, attorney Patricia A. Kalal is a compassionate listener, a skilled negotiator and an unyielding trial lawyer who has taken many cases to state and federal court and won. We will do our best to seek a settlement that takes into account both parties’ wishes, but, when compromise fails, you need an attorney who is not afraid to argue your case vigorously in court. Whether you are currently going through a divorce and want to quickly reach a lasting agreement with your spouse or whether you are faced with the unintended consequences of a divorce settlement that did not account for your family’s unique situation, we are here to help. Our extensive negotiation experience has allowed us to reach settlements in matters where other firms have failed to do so. We can quickly get to the heart of a case and provide a fresh perspective in order to help you achieve long-term resolution. If you have a question related to divorce, child custody or fathers’ rights, don’t wait for your legal issue to take a toll on your life. Contact our firm today to schedule an initial consultation.